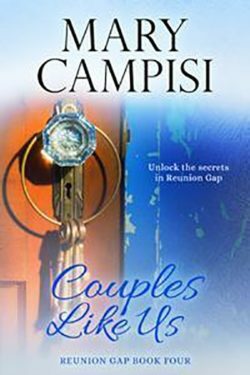 Christmas is a time of joy, hope, and wonder…until the ultimate challenge threatens one of Reunion Gap’s favorite couples. As a reader, I often wonder about the before and afterof certain characters. As a writer, I’m able to act on that wondering if I’ve created those characters. (One of the guilty pleasures of the profession!) Nicki and Jameson Price are two people who made me curious because they’re such a perfect couple. Perfect for how long? What would happen when adversity struck? Would they survive? Of course, I had to “test” them. Couples Like Usis told in two parts: Part One: Before, which was previously Christmas in Reunion Gapand Part Two: Three and a half years later. Jameson Price left city life behind to regain his focus on what really mattered in life—family and relationships. Now he’s back in Reunion Gap where the pace is slower and life is less complicated. Just the way he likes it. Until Jameson meets Nicki Gallagher and everything gets complicated. Nicki and Jameson Price are the perfect couple: married, in love, with two children and solid careers. They have their whole future planned out, one they will share side by side. When Jameson accepts a month-long consulting job two thousand miles away, he’s doing it to help his family and solidify their future. It’s only a month. What could possibly go wrong?Well… Two-thousand-mile separations are never good, but add an ex-girlfriend bent on removing the ex from her status and a wife who finds out about it? It doesn’t matter how much the husband isn’t interested in the ex, he’s in trouble. Follow this couple as they navigate the rockiest part of their relationship, questioning each other, their future, and whether they’ll ever find their way back to perfect. Publisher: Mary Campisi Books, LLC.